People that are into Swiss Army Knives know about the bail, hollow rivet and the key ring. It is just the limit of the imagination that can stop the use of these features. The key ring is a versatile possibility to attach a separate device on or to put on a lanyard. 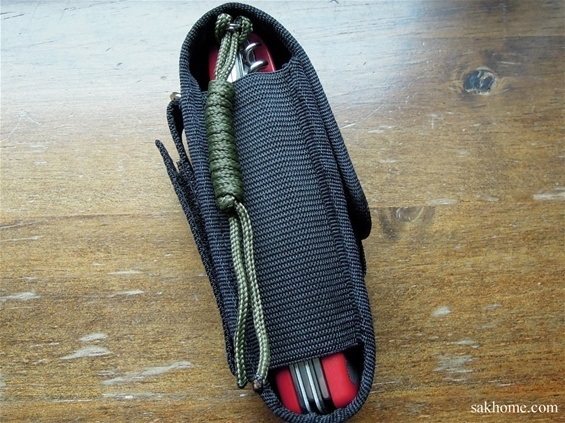 A lanyard can be nice to have if you carry the knife in a pouch. 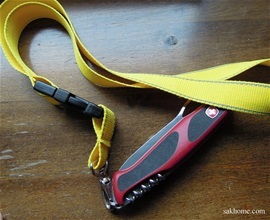 It is also possible to make a wrist lanyard that will prevent dropping the knife on the ground or in water and so on. So it can be a safety feature here as well. Some like to carry the knife around the neck as well.